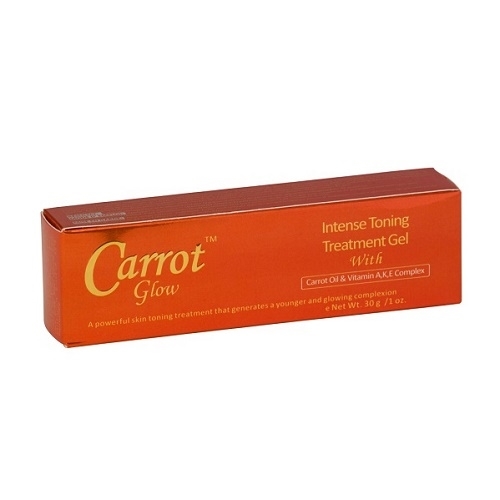 Carrot Glow Intense Toning Treatment Gel 1 oz. Carrot Glow Intense Toning Treatment Gel 1 oz. _ formulated with skin-penetrating ingredients to repair, tone, and clear your skin. The appearance of acne and blackheads are minimized, leaving you with a light, luminous complexion. Also acts as a serum/oil regulator.